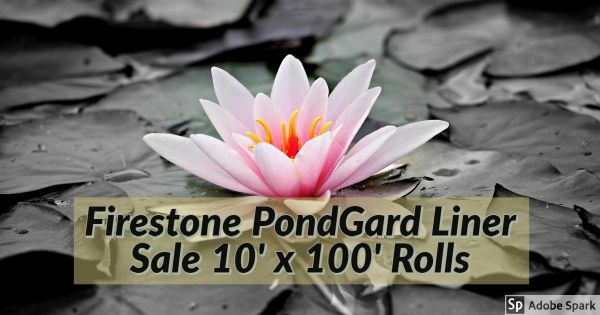 We have 100 rolls of Firestone PondGard Pond Liner in stock and ready to ship. 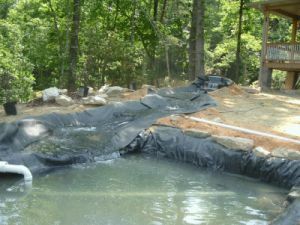 EPDM pond liner is the material of choice for most pond lining applications. 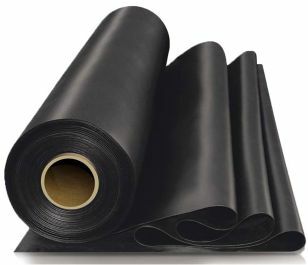 EPDM is a 45 mil synthetic rubber material that is not only easy to work with, but long lasting and aquatic safe. EPDM pond liner's flexibility provides more versatility in the pond design. Unlike preformed liners, it can be easily shaped to fit the unique contours of the pond dimensions which allow for a more creative design. It offers remarkable resistance to the harmful effects of ultraviolet radiation (UV), ozone and other environmental factors. It remains flexible even in the most extreme temperatures. Ease of install, design flexibility and long term durability make EPDM pond liner the ideal choice for pond lining needs.